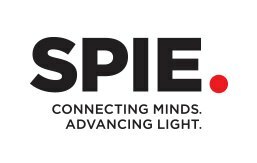 Photos selected as finalists to be displayed at SPIE Optics + Photonics 2015 for "People’s Choice Award"
Image requirements: 300 dpi or more and at least 3,000 pixels on the longest side. File size should be no less than 5MB and no greater than 20MB. TIF and JPEG/JPG. Only limited enhancement of the original photograph is permitted for the purpose of improving brightness and contrast or removing minor cosmetic flaws. Content: Appropriateness and coverage of content in relation to the theme. Scientific interest: Overall effectiveness in engaging and communicating the contest theme to viewers. Creativity/artistry: Innovation and creativity in the concept. Execution: Execution of photography techniques used to enhance the quality and content of entries. Overall appeal for the International Year of Light. Each person may submit a maximum of two (2) entries online via the website.